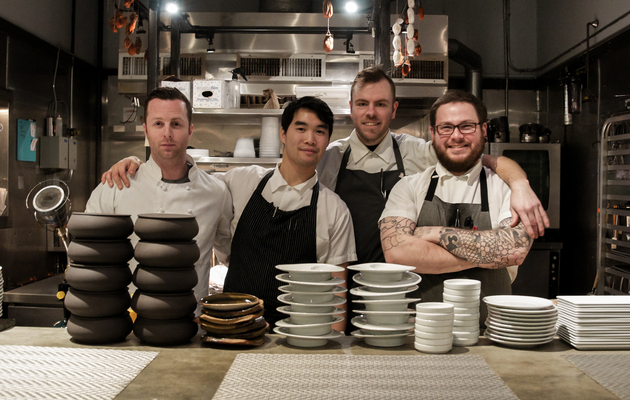 Four chefs in Boston have traded hierarchy for collaboration in the kitchen, and it's working. Two Boston chefs reinvent classic Chinese dishes into their elevated forms, without obliterating the essence and the place they hold in the guests' hearts. Join Wheeling Forward and the city's best somms on May 2 for a grand tasting, an auction, and wine seminars. Yankee Rachel Sundet unleashes the potential of Southern desserts with technique and tang. Meet the newest class of Boston Rising Stars. Join us in celebrating their immense talent at the tasting gala on April 16! We ate our fare share in the city center, but the local restaurant scene is spreading the love beyond downtown Boston and Cambridge. Forget Tinder. Boston bartenders are coupling agave spirits with supple, saline Sherry.